Japanese gamer nobusuma256 has shared a picture of what his elementary school age son did during summer vacation. 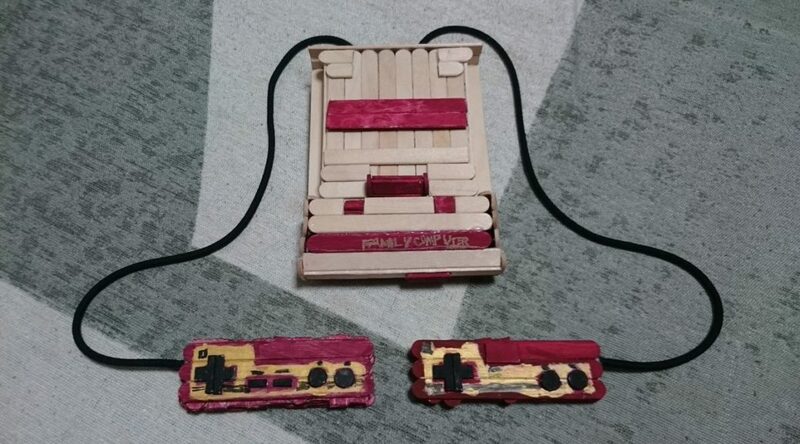 When his son was asked what he wanted to make with popsicle sticks, he replied he wanted to build a Famicom. And thus, that’s how the project got started. Check out more photos of the amazing creation below.